Lucky for her, help arrives from their neighbor’s gorgeous grandson, former Army Ranger Leo Reed. Leo’s desperate to rise above his dark past and enjoy life again. He’s already made a lot of progress, so when the woman he can’t stop thinking about needs a handyman, he volunteers. But after a very...wet incident involving deadly dance moves and a wayward sink hose, their clothes hit the floor faster than a stack of tile. He doesn’t want forever—that would mean revealing his past, which he’s not ready to do. She only wants right now, because any other option would require sticking around. And then Kaydee discovers she’s pregnant. “Kaydee,” he said again, but this time he reached out to lightly touch her shoulder. Letting out a startled cry, she turned toward him with the sprayer still in her hand. Water immediately pelted his face and the side of his head with the force of a mini power washer, blasting his flesh with a shock of heat that ran down his neck and chest. Luckily, it was only hot and not scalding. “Oh my God, Leo!” She dropped the sprayer, then shut off the water with one hand and yanked her earbuds out with the other. “Are you okay? Before he could reply, she dropped her forehead on his chest, and her whole body shook as she laughed. The unexpected move and feel of her soft curves brushing his body removed all traces of teasing from his mind. He always wondered how she’d feel in his arms, and now he knew, even if—technically—he didn’t have his arms around her. Yet. Because he could. It’d be so easy. So damn easy. All he had to do was put his hands on her back. But that would be playing with fire, and he didn’t want her to get burned. She snickered and continued to dry him off, but her nearness and press of her fingers weren’t doing his libido any good, so he placed his hand over hers to stop her movements. Before, at least a wet shirt had separated their skin. Not now. His palm covered her hand, and the feel of her soft, warm skin kicked his pulse into gear. Once again, their gazes met, but this time mortification and teasing were no longer present, just a raw, untamed attraction. It posed a danger big enough to rival her lethal dance moves. Her gaze dropped to his mouth, and Leo’s heart rocked in his chest. A sensation he hadn’t felt in years. Leave it to Kaydee to induce the movement. It was strange. He knew he should back away, but he didn’t. Couldn’t. It felt as if his whole body was coming alive, and until that moment, he hadn’t realized how truly out of touch with life he’d been the past few years. Perhaps always. I live in Northeast Pa where we experience all four seasons, although, I wouldn’t mind hanging onto summer a bit more and winter a bit less. I’m married to a career military man; we have four wonderful children and an assortment of rescued cats. Never a dull moment in my household! I'm excited to say I'm an award-winning, NYT & USA Today Bestselling author multi-published in eBook and print. I write from sweet to hot, short to epic and anything in between. You can find the ratings and length next to the book on my website. 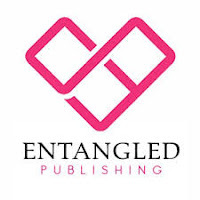 I'm self-published and published through Entangled Publications, Kindle Worlds, The Wild Rose Press, Whimsical Publications, and Amazon Publications in their AmazonEncore Imprint. And one of my books is being translated into Japanese and hand-drawn into MANGA!